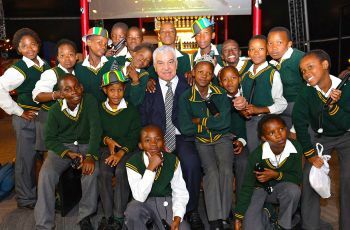 Tsogo Sun continues to play a pivotal role in the educational development of South Africa’s young people. 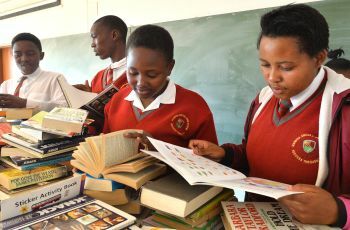 The group adds value to the school system by providing support in required and significant ways to enhance the schooling experience and to ensure that it is a holistic one. 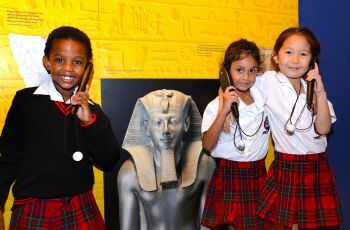 To this end, the Tsogo Sun Learning Academy is involved in a number of initiatives such as providing visits to the Apartheid Museum for Grade 9 learners, interschool debate competitions and venues at our properties for events hosted by schools. In addition Tsogo Sun provides bursaries and learnerships of various types in South Africa. 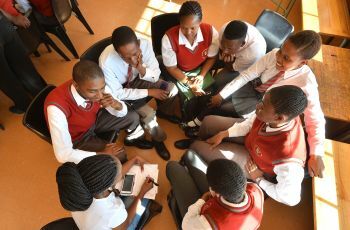 Spring day heralded the opening of the new facilities at the Nsimbini Primary School in Chesterville, which amounted to an investment of over R6 million. The development has seen two new classrooms, HOD offices, two Grade R classrooms, an amphitheatre, toilet facilities for Grade R learners and learners with psychical disabilities and a Full Service Centre for learners with special needs being built. 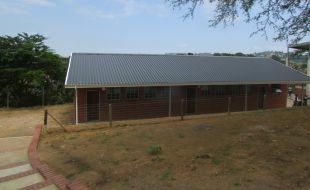 Nsimbini Primary school was first established in 2004 with 450 pupils and only two teachers. 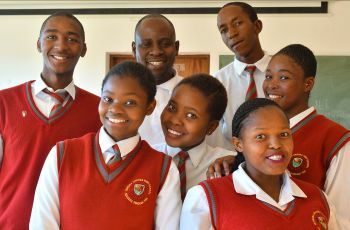 Mr Ndlovu, the current Principal of the school had then approached the KwaZulu-Natal Department of Education and asked for more teachers. Since then the school has grown exponentially and now has 1005 pupils and 31 teachers. 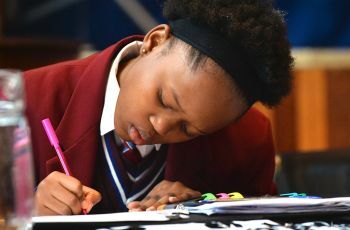 “The additions of the new facilities will assist the school in providing quality education in a new and comfortable environment for our pupils. 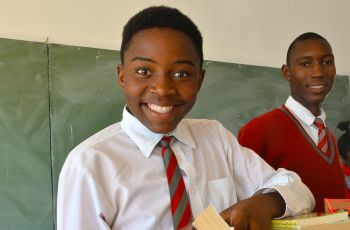 The Full Service Centre will provide learning and support to learners that have developmental and physical challenges which will benefit not only the Nsimbini learners but also learners from other schools in the greater Chesterville community” said Mr Ndlovu, Principal at the School. As a result of this new status, the school has been renamed Nsimbini Full Service Centre Primary School. “The success of this project lies in the synergistic partnership that was created between Government, Civil Society and the Private Sector. 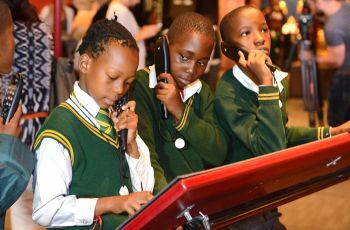 Education is a key area of Tsogo Sun corporate social investment and we strongly believe in collaborations such as these in order to create the strongest impact for the young learners” commented Mike Dowsley, Executive Director of Suncoast Casino, Hotels and Entertainment. 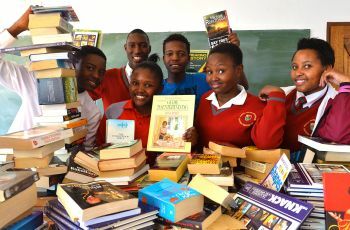 “Our prayers have finally been answered; this massive investment made to these learners today will assist us in providing the best education that we can provide in teachable conditions. We, the staff and young learners cannot wait to officially move into these classrooms which will be on Monday, 7 September”, said Ms Mfeka a Grade R teacher at the school. The event was attended by Ms. Tembelihle Gumede, Senior Manager of Rural Infrastructure Support at the KZN Department of Education, Cllr Logie Naidoo, Speaker of the eThekwini Municipality, Mike Dowsley, Executive Director of Suncoast, Anthony van der Meulen, CEO Vukukhanye and Mr Ndlovu, Head Master of Nsimbini Primary School and other sponsors and partners. Guests were treated to spectacular performances by the pupils which included a praise poet, gospel choir, drama, traditional dance piece and the singing of the national anthem, Mrs Buthelezi, Deputy Principal at the school said “We are extremely proud of the talent that these young boys and girls have shown here on stage and this is yet another reason why the investment in this school is worthwhile and deeply appreciated”. 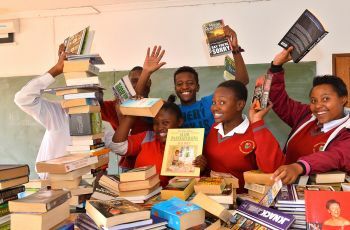 “We found out about Nsimbini through Anthony van der Meulen, CEO of Vukukhanye, a non-profit and public benefit organization which operates and supports community-based development projects aimed at the care of orphans and vulnerable children, as well as the continued development of the historically-disadvantaged community of Chesterville. Anthony took us on a visit to the school and it really touched our hearts when we saw over 25 pre-schoolers being educated in a small wooden wendy house. 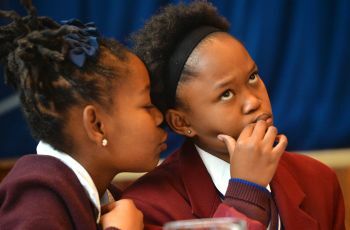 It was then that we got in touch with the KZN Department of Education about building the infrastructure and this was promptly approved by the eThekwini Municipality” said Mike Dowsley. Ms Tembelihle Gumede, who spoke on behalf of the MEC of the KZN Department of Education, touched on the educational pillar of National Goverment’s Development Plan by saying “Education is the key cog to the National Development Plan that Government is rolling out over the years and these very children that are here today form part of this plan. The aim of the National Development Plan is not just to build world class infrastructure but also build minds that are equipped with the skills and knowledge to tackle any and all issues”. Mike Dowsley, along with Ms Tembelihle Gumede, Ward Councillor and Governing Body members of the school officially unveiled the plaques before embarking on a tour of the facilities with guests and media in attendance. 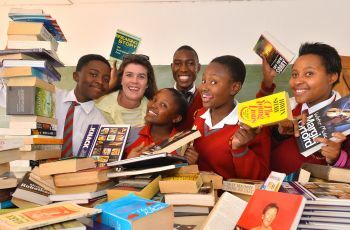 On an annual basis, Tsogo Sun supports an interschool debate and public speaking programme for the West Rand district. 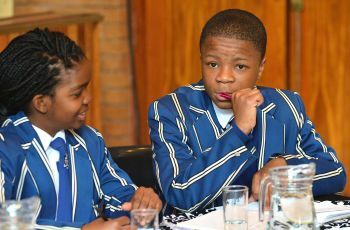 This year the interschool debate – which saw 80 learners enter – ran from 7 May and culminated in a finals event which took place on 29 July 2015 at Randfontein High Hall. 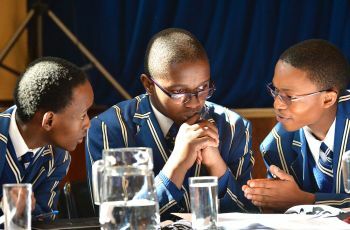 Finalists who participated were both junior and senior teams of five, from Randfontein High School and Jan De Klerk. 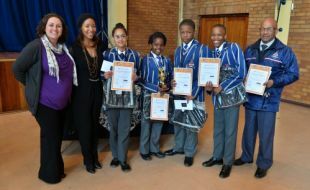 Following the analytical and thought provoking debate between the finalists, a judging panel consisting of three district teachers and two Silverstar Casino staff members, awarded Randfontein High School the title of Tsogo Sun Interschool Debate and Public Speaking winners of the West Rand. 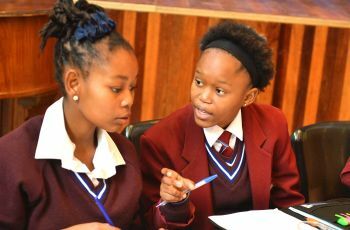 In support of this worthy programme, Silverstar Casino provided the catering for the final debate and also sponsored the teams’ trophies, medals, certificates and prizes which included dictionaries, backpacks and restaurant vouchers. 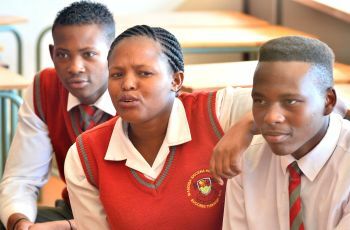 Jason Fisher, an English teacher at Randfontein High highlights that during these debates, learners are exposed to more than the textbooks that schools use. “Debate motions are controversial and the debaters develop research skills in order to construct arguments on issues. 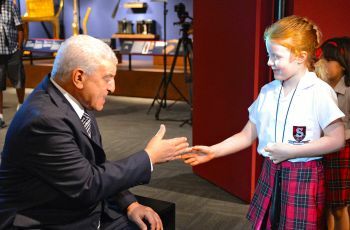 They are able to think on their feet, make logical responses to argumentation and approach any topic analytically. They are persuasive, have above average communication skills, vocabularies and skills in identifying main point from supporting detail. They are generally the top achievers and show leadership qualities,” says Fisher. 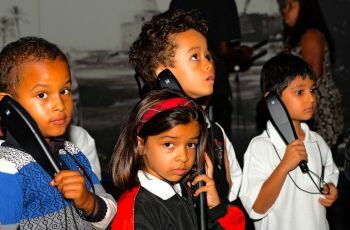 “It is highly important for Silverstar to be involved in our children’s educational development. It is our obligation to provide the necessary support structures which upskill the youth who will eventually be leaders of our own communities. 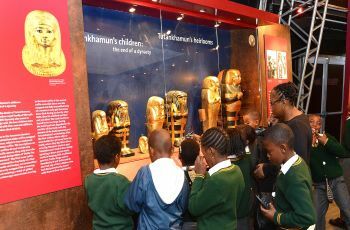 Programmes such as this one are highly beneficial in reaching our long term goals for these young learners,” concludes Shane Collinson, Director of Operations and Complex General Manager at Silverstar.